Though it’s a stone’s throw from Brick Lane and peak hipsterdom, Whitechapel Market hasn’t been grabbed by the tentacles of gentrification yet. 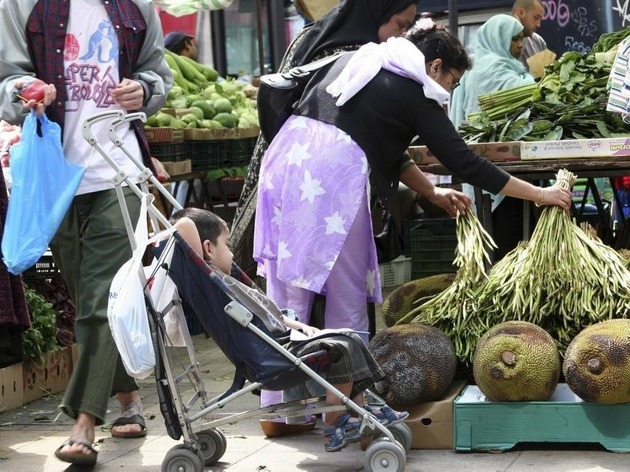 It’s a place where you’ll hunt for bargains under striped awnings and pick up cheap ingredients for curries and stews from traders serving the large local British Bangladeshi community. Jewellery, general knick-knacks and electrical goods are also on offer. If you’re feeling charming, you might like to try some light haggling. This was very racist market. 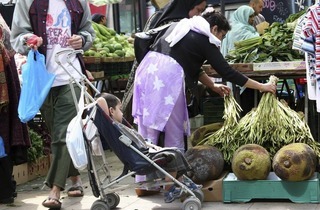 At the market I was told I cannot buy daikon because I am not Muslim. There is also an amazing mobile coffee stall there- the urban cafe- selling quality takeaway coffees.